Robin Williams, Suicide, and "Choice"
I've had a variety of thoughts since hearing about the death of Robin Williams. I haven't, and will not be, voicing most of them. There is so much involved in our cultural response to death, suicide, and mental illness, that I think it's nearly impossible to speak about such things without having a long, long conversation. All the more so if we take our words seriously, and that is what Stoicism asks of us. I do, however, have one thing to say. I have read many statements in sympathy and in anger that talk about how suicide was Mr. Williams' "choice." As Stoics, the concept of choice is pretty damned important, and I want to suggest that we think deeply before using it. Suicide is often the outcome of mental illness, which it definitely seems to be in this case. Suicidal ideation is a symptom of depression, with which we know Mr. Williams struggled. Such thoughts are not the product of a rational mind sizing up life and finding it wanting. They are the outcome of a chemical imbalance that strips the world of meaning. Those dismal thoughts are also then evaluated by a "rational faculty" that itself is barely worth the term since it too is hobbled by the physical imbalances in the brain. Actions during a depression are chosen, yes, but in a manner that makes the word "choice" a caricature of what we should commonly mean. I would suggest we reserve "choice" for clearer instances and leave it be when it comes to situations where we can never know, like this one. Well, as I said, there is too much to say on these topics. Concerning Robin Williams, I would like to see the man's life celebrated by those who felt a connection to him. I also hope that his death sparks a conversation, but one that doesn't drag him into it. 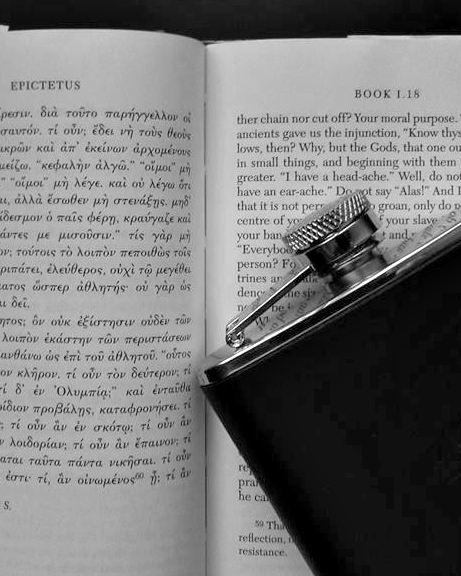 Death, suicide, and mental illness are worthy topics for Stoics to discuss. Speculation on the final moments of a man's life? Not so much. Thumbnail image for posted links attributed to Vincepal on Flickr. Posted in Depression and Anxiety. August 12, 2014 by Matt Van Natta. The Greatness of "Depression Part 2: Hyberbole and a Half"
Allie Brosh of Hyberbole and a Half deals with physical depression. So do I. So do many. I added the descriptor "physical" because we aren't wrestling with a bummer day or an un-cheery outlook on life. We're living with a sudden lack of access to the chemicals that make feelings possible. Hyberbole and a Half's most recent comic, Depression Part 2, does a brilliant job of describing the experience. The Stoic philosophy, used poorly, can be problematic for people with depression and other emotional disorders. Stoicism's often single-minded focus on the human capacity to reason can make its proponents insensitive to problems that can't be solved by thinking better. Clear and rational thought depends on a well-oiled mental machine and no philosophy can magic up better serotonin receptors. This isn't to say that Stoicism has nothing to say to those with emotional disorders*, I use it myself! I'm just saying we need to realize that Reason is not the Force. A person with depression can't simply let reason flow through them. Reason is built on physical processes. We're material beings. Anyway, I really liked that comic. Check it out. 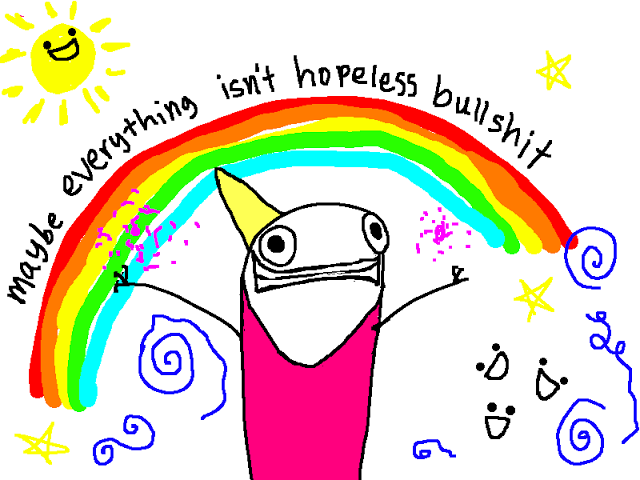 A panel of Depression Part 2 by Allie Brosh. *Cognitive Behavioral Therapy, founded on Stoic principles, consistently tests as the most effective non-drug method for treating emotional disorders. I recommend it wholeheartedly. May 9, 2013 by Matt Van Natta. October 21, 2012 by Matt Van Natta.